This 1920s Conklin is a #3 Crescent-fill in gold-filled “Hand Engraved Vine.” Conklin is known to have created some of the finest and most beautiful overlays, and this one is no exception! The lock ring is gold-filled to complete the look. This is a Clipless model fitted with a fine, semi-flexible nib. Indicia beautifully engraved, “C.H.Ludde.’ Near mint! Item #1 in Catalog #80. 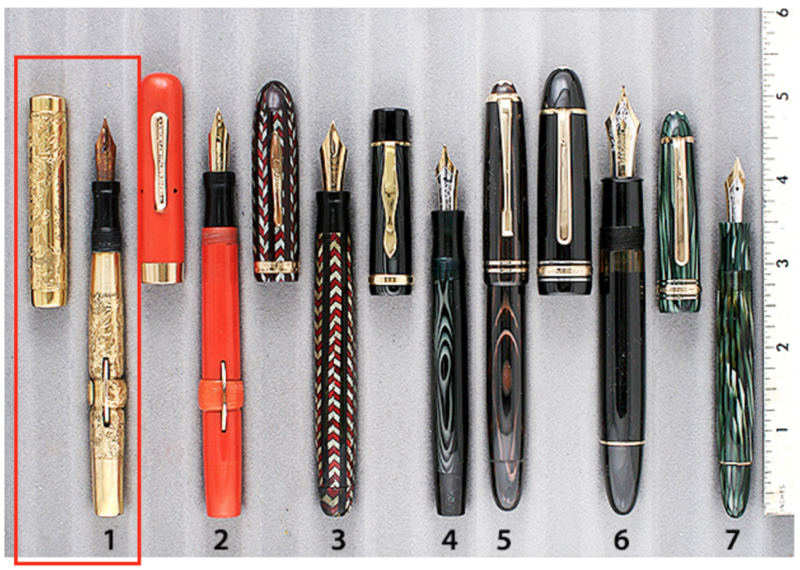 This entry was posted in Vintage Pens and tagged Catalog, Catalogs, Conklin, Extraordinary Pens. Bookmark the permalink. Follow any comments here with the RSS feed for this post. Post a comment or leave a trackback: Trackback URL.